As part of Google I/O week, the company is highlighting a number of Play Store apps that use Material Design in different ways. To do this, Google is launching the Material Design Showcase on the Play Store and issuing Material Design Awards to select apps for the first time. The Material Design Showcase is a curated section on the Play Store that features over a dozen Android apps including Evernote, Tumblr, The New York Times, and Pocket Casts. These 18 apps, Google says, feature best-in-class Android design. 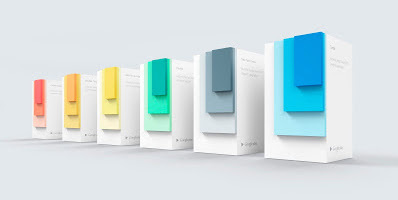 Among those featured, Google has presented the first Material Design Awards to six apps with each being recognized for a different purpose. These apps include: B&H Photo Video Audio Pro for Immersive Imagery, New York Times for Elegant Typography, Pocket for Adaptive Layouts, Pocket Casts for Seamless Browsing, Tumblr for Delightful Animation, and Weather Timeline for Crafted Simplicity. Google says this is only the start to its Material Design Awards as it will continue to highlight more apps that present excellent design on Android in the future after first introducing Material Design last year. You can check out the 18 apps recognized here.